Closing date 18th December 2012. Question: Prior to our Nov/Dec 2012 tour, when and where did we last share a stage with Thin Lizzy? Answer: 18th August 2012 at Belsonic in Belfast. Congratulations to winners Bo Braendstrup, Zoe Taylor and Eric Gorman. Closing date Sunday 17th November 2013. Congratulations to Andrew Abraham who sent in our favourite caption from the bumper number of entries received. The winning caption: "Adam Ant has let himself go". Closing date Sunday 21 October 2018. Guess the mileage on our splitter bus for our Europe/UK tour with Saxon. We set the milometer to zero at the start of the tour. How many miles (or kilometres) will be on the clock when we get back to London after our last show with Saxon in Manchester? Click the thumbnail on the right or see our Live page for all the dates. 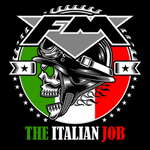 Email your answer to info@fmofficial.com with "FM Mileage Competition" in the subject line. The person who guesses the closest figure to our final mileage tally will receive two tickets to the FM headline show of their choice. In the event of a tie a winner will be selected at random from the tied entries. 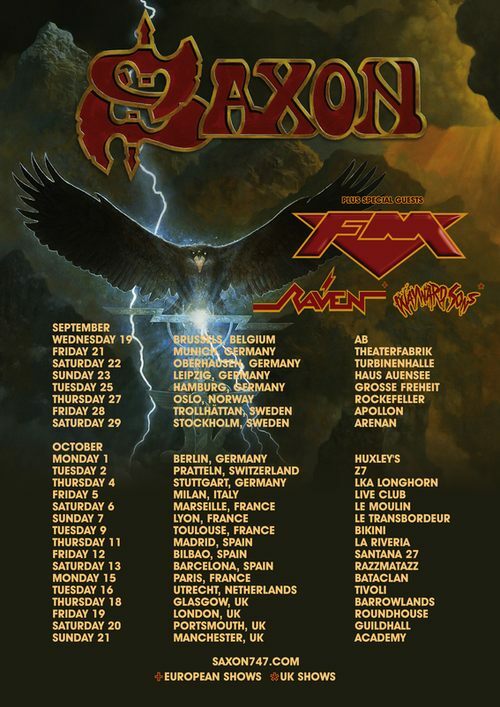 Congratulations to Stephen Campbell whose guess was the closest at only 67 miles out - we travelled 9347 miles / 15042 km on tour with Saxon.